George Strait does it again with another great song. 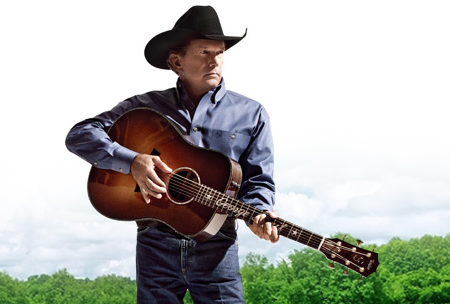 We’re more than 30 years into the career of George Strait and his voice has never sounded better. He just reached the top of the charts yet again and his next single sounds amazing. It’s another great song and it’s hard to believe he still has it after all these years. But George believes in a good song and in many other things so maybe I believe to. I’m not sure anyone can sing a slow song like George Strait. If anyone else tried their hand at this type of song today I don’t think they could pull it off. It’s a song about faith and love and George nails it once again. We should probably come to expect it from him by now, but he finds a way to keep surprising us with each new single. George has always been able to find these great songs. This one should be another huge hit on the charts. I’m sure people will get attached to the simple message, the great meaning and the wonderful melody. I don’t know if it can reach the top of the charts, but there are still millions of George Strait fans out there so it wouldn’t surprise me. This is a great song, with the best singing it. There are other artists who could do a real good job singing this song, but George does it best. The older he gets the greater his voice gets and the more polished he becomes singing a real country song. There isn’t a bad song on his new cd, in fact, I think its the best cd he has ever done and he is awesome on every song. There will never be anyone as good as the great G.S.